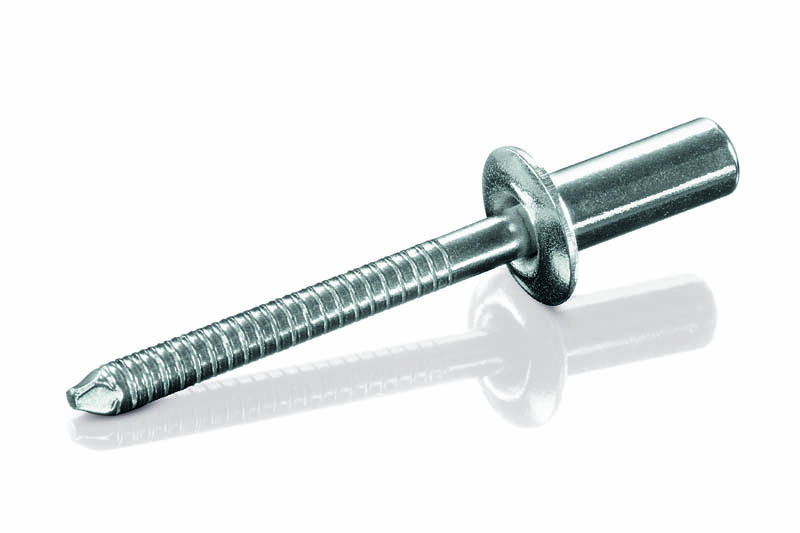 Stainless steel rivets are widely used standard rivets, domed head, countersunk and many more. One complexity has been a closed cup rivet. These have been widely used in aluminium for a long period of time because of the superior seal they give not just from water but also from smoke hence the use of the word “closed”. The mandrel is pulled forcefully by the rivet gun to give a really tight seal. The issue arise with stainless steel as the mandrel has to be stronger than the head otherwise the rivet is only partly sealed. In order to achieve this companies tried using lesser metal that stainless steel and coated them typically with zinc. The idea was on the basis that the mandrel once snapped off is discarded. However, this is not completely true inside of the sealed rivet is the remnant of the mandrel where it breaks away the result is a piece of carbon steel enclosed by stainless steel which very quickly will corrode and cause the rivet to fail. In order to solve this problem BS Stainless have worked with a manufacture that innovated by increasing the quality of the mandrel from an inferior carbon steel to a high quality corrosion resistant duplex stainless UNS 31803. The result is the mandrel is now stronger than the head delivering a tightly sealed rivet. Combining a rivet with the head made from stainless steel 316/ 1.4404 with a mandrel from Duplex 31803 delivers a rivet that is designed to last ideal for offshore applications, swimming pool, fisheries, tunnels boats and many more application around salt water and saline solutions.